HTC Corporation chief executive officer, Peter Chou, joined Microsoft Corp. chief executive officer, Steve Ballmer and Harvey Chang, chief executive officer of Taiwan Mobile to announce the availability of the highly anticipated HD2 in Europe and Taiwan. 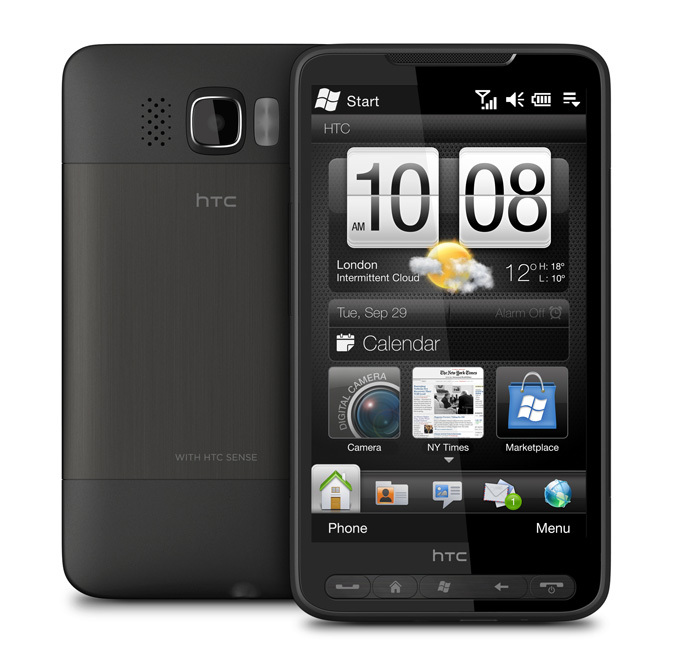 HTC and Microsoft also announced that the HD2 would be available in the United States with a major US carrier in early 2010. The HD2 is the first Windows phone with HTC Sense, a customer experience focused on putting people at the centre by making their phones work in a more simple, natural and personal way. With its industry leading, high-resolution, 4.3-inch capacitive touch display, the ultra thin HTC HD2 delivers more visible content in a sharper, brighter and richer way. The HD2 uses the first capacitive touch display on a Windows phone to make viewing, zooming and resizing websites, Microsoft Office files, PDF documents and pictures easier with just a pinch of your fingers. The large display also enables faster, more efficient and accurate typing using the onscreen keyboard. Utilizing Qualcomm’s new 1Ghz Snapdragon mobile processor, the HTC HD2 offers enhanced performance that improves the speed of applications, videos, games and more. Developed with a passion for enhancing people’s lives through innovation, design and ease of use, HTC Sense is rooted in three fundamental principles of Make it Mine, Stay Close and Discover the Unexpected. The HD2 continues HTC’s drive for personalization by reflecting not only what you want on your phone, but also where you are. Using its large 4.3-inch window-like display, HTC has brought a new dimension to weather with a localized, animated weather experience that utilizes HD2’s entire display without being invasive to your important content and information. The HD2 can also be further enhanced to reflect your needs and style by downloading a wealth of applications at the new Windows Marketplace for Mobile. The HD2 helps you stay close to the important friends and colleagues in your life with HTC’s people-centric communication approach that provides a single contact view that displays individual communication snapshots of your conversations with the people in your life regardless of whether a call, text, Facebook status update or email were used. While in the midst of email exchange with someone you can easily transition to a call by pressing the call button. HTC has also included a new Windows-based version of its Twitter application, HTC Peep. The pictures you take with the 5MP camera can also be quickly shared via Facebook or Twitter. With the HTC Sense experience, the HTC HD2 includes a variety of enhancements that expand and improve the overall phone experience. The HD2 includes a variety of sensors including a proximity sensor that is used to prevent false screen touches when the phone is picked up to answer or make a call. A light sensor automatically adjusts the brightness of the display. Leveraging its 3G broadband connectivity, the HTC HD2 also offers personal Wi-Fi anywhere for your computer or other devices. Also available for the HTC HD2 is the optional car kit that automatically transforms HD2’s user interface into a finger friendly in-car navigation experience for driving. 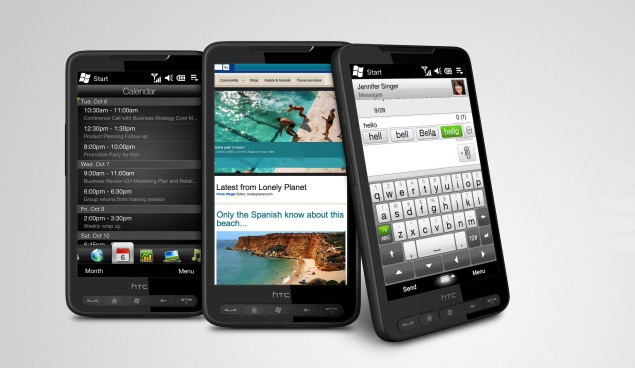 As a new Windows phone, the HTC HD2 showcases the powerful messaging, browsing and productivity capabilities delivered by Windows Mobile 6.5. Offering a best in class e-mail experience complete with the ability to synchronize with Microsoft Exchange, you have the ability to check and manage multiple email accounts. Microsoft’s new My Phone service enables you to automatically back up and synch photos, music, contacts and text messages for free from the HD2 to the web. Already shipping in Europe, the HTC HD2 is available around the middle of November with Taiwan Mobile and will be available throughout Asia in the coming month. 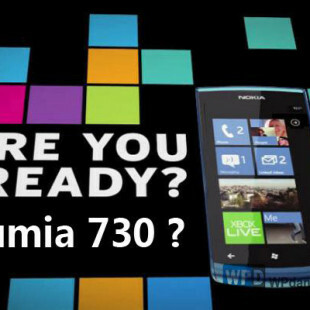 The HD2 will be available with a major carrier in the US in early 2010.